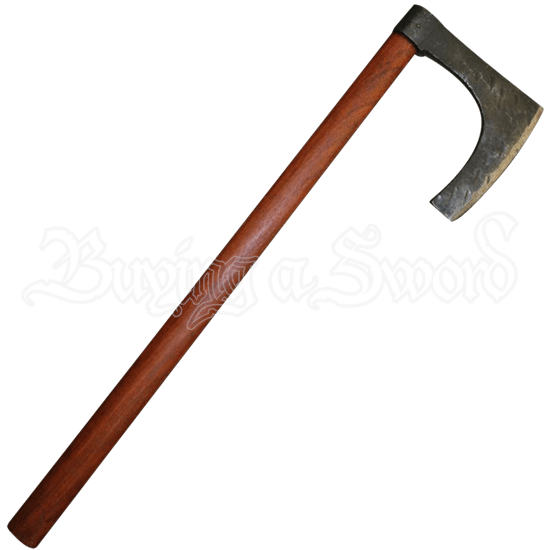 The traditionally styled Hamall Stage Fighting Axe features a tough steel blade, beard, and a smooth handle made of sturdy hardwood. Versatile, this axe is sure to be a staple in the arsenals of any axe or stage fighting enthusiast. 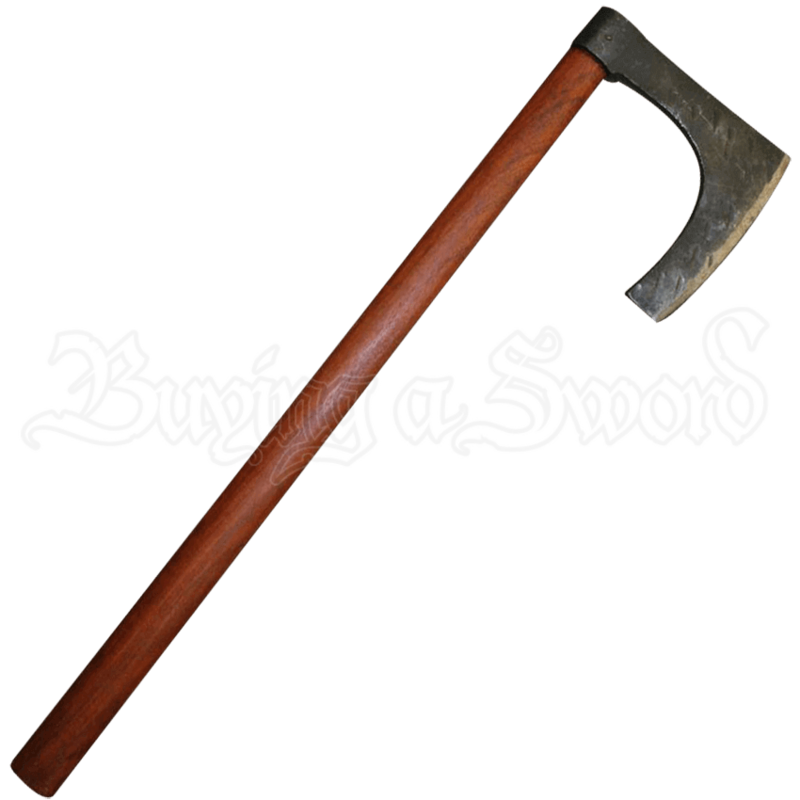 The heavy blade of the axe is thick but not sharp, not intended for actual chopping or hacking, although the high-quality of this piece makes it an excellent and reliable prop. The rather long beard of the axe is longer than the width of the head. With its heavy weight, the handling of this axe should be similar to that of the actual tool.